Being on a home’s roof is already dangerous, especially for children. Mix in harsh, wet weather like rain, hail, and snow and you’ve got the perfect storm for a potential disaster while walking on a slippery roof. Metal roofs are particularly slippery and prone to cause injury. 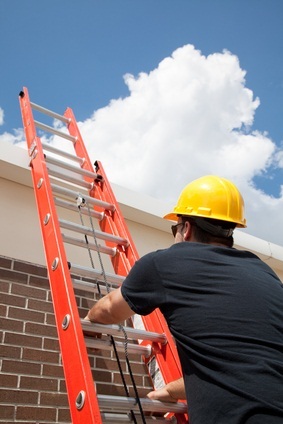 Kids and yes, even adults should never step onto a pitched roof that is too steep or one that is multiple stories. Walking on such surfaces is unsafe and the risk of injury is extremely high, so leave these maintenance jobs to trained professionals. Roof materials like asphalt, tile, and slate that are common in the roofing industry are extremely fragile and prone to breakage. While worn, loose, or cracked roof shingles are already dangerous to walk on, stepping onto them will only cause additional damage and put you or your child at risk for injury. If you notice that you have a roof leak or insulation problem, our certified technicians can help. We’ll fix your ceiling leak before extensive water damage occurs and then make sure your roof gets repaired properly by professionals, so pick up the phone and call 911 Restoration today!